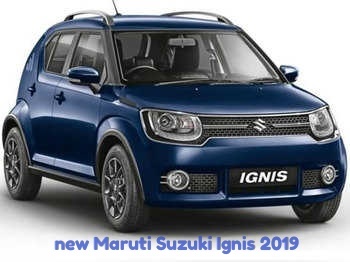 Launch in Maruti Suzuki Ignis new avatar, learn what changes. The price of the new Maruti Suzuki Ignis has increased compared to the old model. The price of the base variant sigma is around 13 thousand rupees and the top variant alpha automatic has increased by Rs 9 thousand. Maruti Suzuki launches Habcchak Ignis in a new avatar. The first X showroom price of 2017 Maruti Suzuki Ignis is Rs. 4.79 lakhs. There has been no change in the styling of the new Maruti Ignis. New safety features have been added to this. Apart from this, roof rails have also been provided in the new Ignis. Reverse parking sensors, Speed ​​Alert system and Passenger side seat belt Reminder Standard in New Maruti Ignis are given in all variants. Standard rails are given standard in the Zeta and Alpha Variants of Roof Rails Ignes. The specialty is that the new Ignis has been given the same old smartphone as the SmartPlay Infomation System, i.e., it has not been given the recently launched Smart Touch Studio like Facelift Ballano and New WagonR. There is no change in mechanical new ignition. It has a 1.2-liter K12 petrol engine. The 1197cc, 4-cylinder engine generates 83 bhp of power at 6000 rpm and 113 nm peak torque at 4200 rpm. There is a 5-speed manual and 5-speed automatic transmission option available. Speaking of the price, the price of the new ignition has increased in comparison to the old model. The price of the base variant sigma is around 13 thousand rupees and the top variant alpha automatic has increased by Rs 9 thousand. Variant new price old price. Ignis Alpha Automatic 7.14 Lac 7.05 Lakh.